If you are in BLR and looking to do something in the first part of this Sat. (MAR 12th, 2016), head over to Koramangala and seek out Aatta Galatta for the first event of the Earth Friendly Choices – Stories of Sustainable Living series organized by Aikyam. This millet has the distinction of being given the official status of a noxious weed (along with 113 others) that should not be allowed into the country by the Food & Drug Administration of USA. Note the broad base and the coconut like cap at one end. 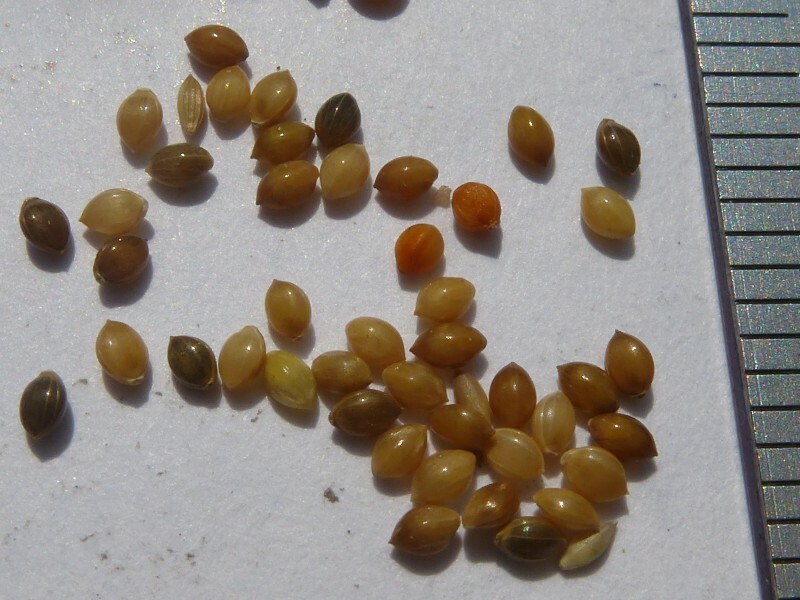 These are grains of Kodo Millet, Varagu (in Tamil), ಹಾರಕ, ఆరికలు, कोदौ/कोदरा. 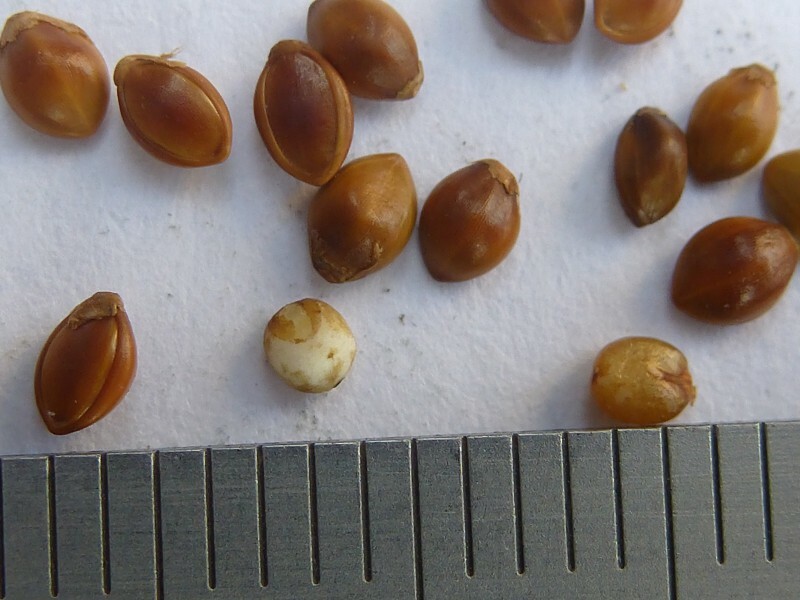 One of the smallest cereal grains, but slightly more globular and lustrous than most grasses and other millets. For the uninitiated, it is hard to distinguish whether the field it is growing in has been over run by a particular kind of grass or if it is a cultivated field ! 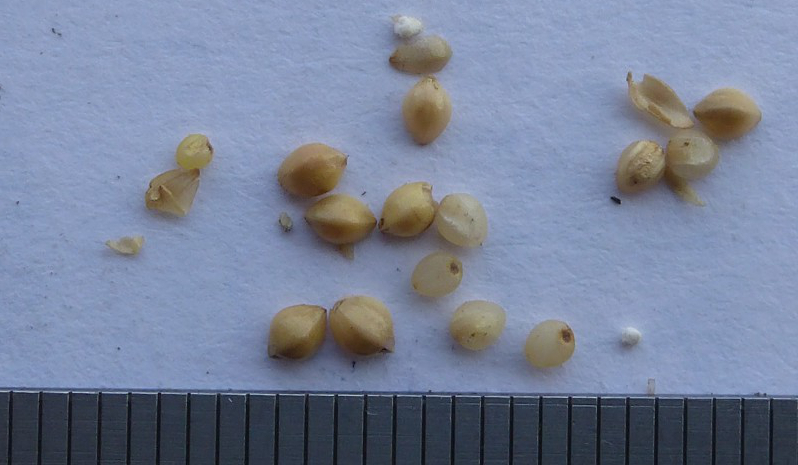 These are grains of Little Millet, Samai (in Tamil), ಸಾಮೆ/ಸಾವಿ, సామ, कुटकि. Posted on March 8, 2016 by DwijiPosted in Agriculture, MilletsTagged learning and sharing, millets. Next Next post: The amazing brown top millet !